The story starts with Barbie and her little sister Kelly practicing some of the ballet steps for an important presentation; however when little Kelly feels she can’t performs properly she wants to give up, Barbie tell a story filled with the magic of Christmas. 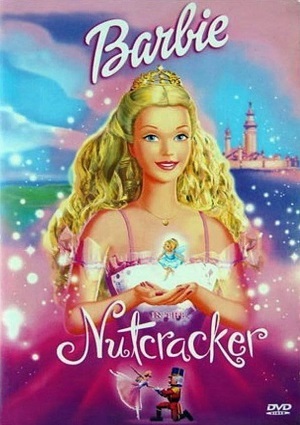 Barbie tells her the story of The Nutcracker and Clara, a young girl who on Christmas Eve is visited by her aunt; the aunt offers a Nutcracker as a gift that will change her life, as is a nutcracker with the heart of a prince. He will gain Clara’s love very quickly, without ever imagining that she will live exciting adventures in a magical world on his side. She will be in a world with an evil Mouse King; this mouse king curses Clara so she can’t go home. Friends must find the sugar Princess, who is the only one who can save them. Clara and the Nutcracker will discover a big surprise when they get to the “candy land”, there awaits them a reward for their courage and perseverance. And a magic story of love. This is message Barbie wants to teach Kelly: never give up and to always fight for her dreams!